We’re not just a gym, or a workout. 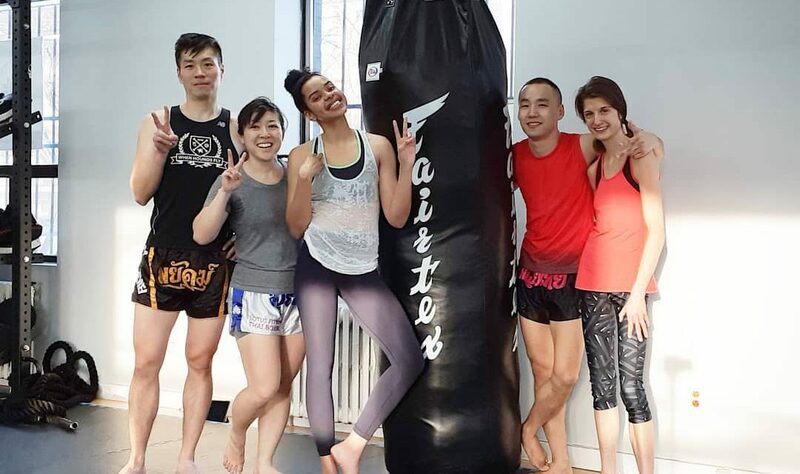 We’re a community of people from a wide range of backgrounds who are all passionate about the benefits of practicing Muay Thai, and we welcome you to join our family. Whether you’re looking to start exercising to get in shape, or maybe you want to go beyond “cardio kickboxing” classes and level up, or you dream of getting in a Muay Thai ring, we can help you achieve your goals. Find out why BlogTO named us one of Toronto’s Top New Gyms for 2019! 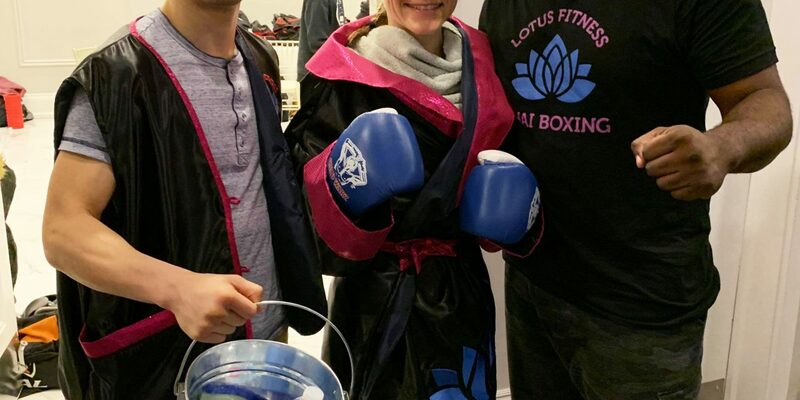 blogTO and Deepa Prashad visit Lotus Fitness and Thai Boxing, March 2019. Muay Thai or Thai boxing is a combat sport of Thailand that uses stand-up striking along with various clinching techniques. 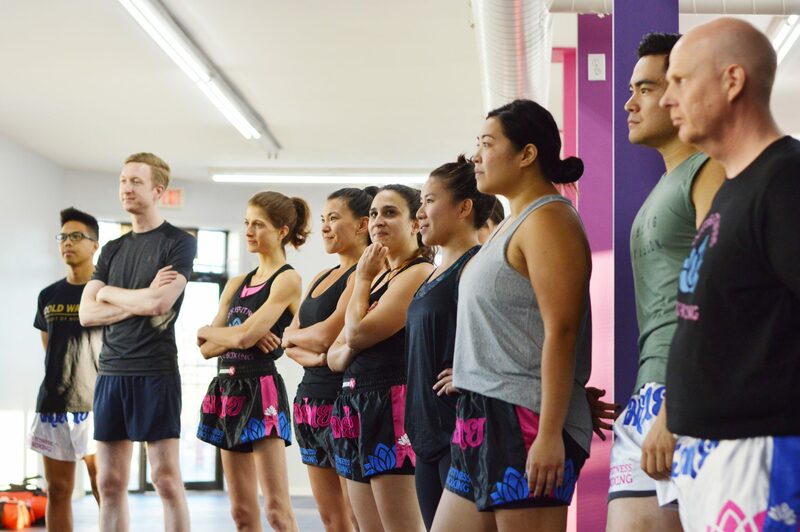 Whether you’re just looking to get in better shape, move beyond “cardio kickboxing” and train like a fighter, or maybe you have a dream of entering a ring one day, we make Muay Thai accessible to everyone! Our functional fitness training programs develop strength, stability, endurance, power, and mobility, whether it’s for improving your health and well-being, or to get ready for the Muay Thai ring. 1-on-1 sessions with our trainers are available, whether you want personalized help to get you to your fitness goals, or want our highly skilled coaches helping you perfect your Muay Thai technique. Thinking about Martial Arts for your kids? Make it Muay Thai, the traditional “Art of Eight Limbs” from Thailand. Muay Thai is best known for creating physical strength, conditioning, confidence and focus. Welcome new members! 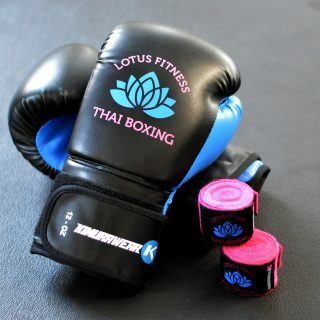 To make it easy to get started, so anyone can try Muay Thai / Kickboxing – $59 gets you a pair of Lotus boxing gloves and handwraps by Kimurawear, and a 2-week pass for unlimited classes. Learn more about our group class programming and schedules here. Learn more about our different pass and membership pricing options here. Learn more about our instructor team here. 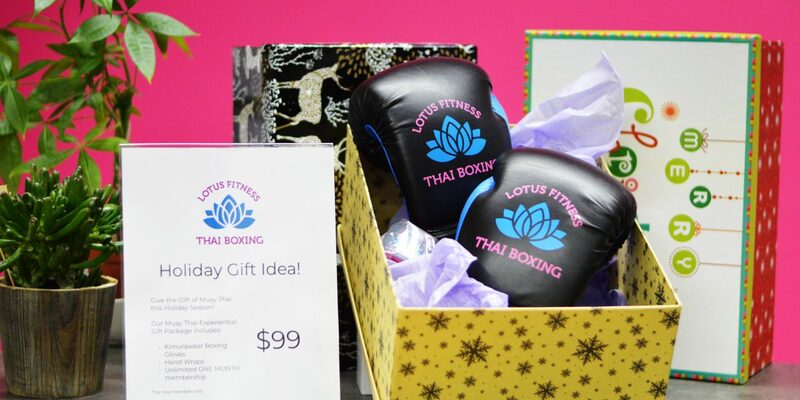 We believe that practicing Muay Thai provides innumerable benefits – physical, mental, and spiritual. It helps strengthen character, resolve, increases confidence, and helps you realize your true potential. Our mission is to share our passion and enthusiasm for the Art of Muay Thai (Thai Boxing) with our community.